READING, Mass. 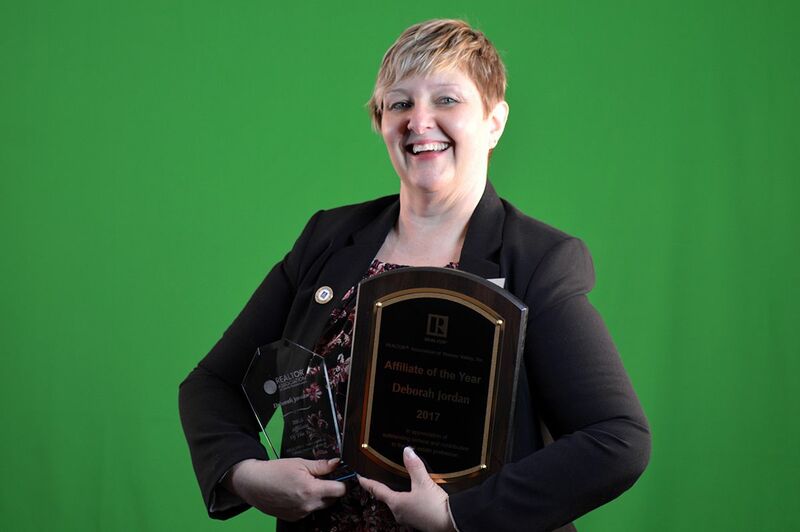 - April 11, 2018 - PRLog -- Shamrock Financial Corporation is pleased to announce that Deb Jordan, Senior Loan Officer, has been named the REALTOR®️ Association of Central Massachusetts (RACM) Affiliate of the Year. The RACM is a professional organization whose members strive to create a comprehensive and unified voice for all REALTORS®️ who work in Central Massachusetts. They do this by maintaining professional standards through licensing and education, discussing laws and regulations to promote industry accountability, and promoting business to encourage home ownership. Affiliate members are those people who provide those services related to real estate. Deb Jordan, who is a Senior Loan Officer with Shamrock Financial, is a prime example of what the RACM looks for in an affiliate member. Deb educates first-time home buyers and sponsors open houses for brokers. In her community, she works with others to donate to those in need, participating in drives to collect food, mittens, socks, and toys. Dean Harrington, CEO of Shamrock Financial, stated, "Deb understands that you don't grow by being more active or more creative. You grow by serving others. Her second consecutive Affiliate of the Year award is a demonstration of that philosophy. We couldn't be more proud of her 'server's heart'. " Deb herself proclaimed, "I am truly honored to receive this Affiliate of the Year award. I love my job - assisting clients with their home financing, one of the biggest purchases of their lives. But my job goes far beyond that. As Affiliates, we work with our realtor partners to guide our clients through the home ownership process. And through RACM and the trips to Beacon Hill, we help legislators understand how proposed laws will impact both the housing market and current homeowners. I'm proud of the part I play and so thrilled to receive this award." The RACM Affiliate of the Year award, and other awards, were announced at the annual awards ceremony on March 28 2018. For more information about RACM, what they do, and how to find affiliates, visit their website. Founded in 1989, Shamrock Financial is a privately-owned direct mortgage lender licensed in Rhode Island, Massachusetts, Connecticut, New Hampshire, New York, Maine, Virginia, and Florida.